Social Services will only provide maximum long term care funding for those who pass a means test. This will help you with your long term care costs. 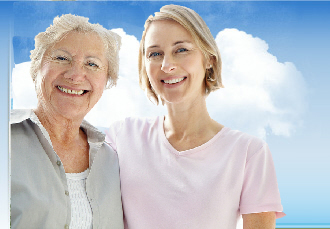 We can offer advice for those paying for long term care in Scotland and England. have to pay for their own long term care with the exception of any NHS Contributions towards long term nursing needs. So if you want to try and ensure such care can continue to be paid for, professional care fees planning will be essential. If you would like us to help, please complete our online enquiry form. qualify for the maximum local social services budget, often known as the standard rate or contract rate. This rate varies from one local authority to another. This may not even be sufficient to pay for some local authority run homes. Even where you do qualify for the maximum local authority long term care funding, they will take all your income, bar your Personal Expenses Allowance (currently 2012/13, £23.50 per week in England and Scotland and £24.00 in Wales), away from you as contributions towards their funding. Those whose capital falls in between the upper and lower capital thresholds will have the value of any capital exceeding the Lower limits theoretically converted into “income” at a rate of every £250 worth of capital exceeding the lower limit, = £1 per week “income”. This is then added to any actual income received or you would be eligible for, if you claimed it, e.g. benefits. The total is then compared to the actual cost of long term care. If your combined weekly income figure exceeds the cost of care, once again you would need to pay for your own care until your capital reduced to such a level as the “income” didn't’t meet the cost of care. If the combined income, however, falls short of the required long term care costs, the local authority would fund only the difference. So what do they include in assets and income? Personal possessions are excluded unless believed purchased deliberately to reduce capital prior to an assessment. Your local authority also has the discretion but is not compelled to disregard the home if it has now become the sole residence of someone who previously cared for you. Even if the home does not qualify for one of these exemptions the local authority must disregard the value of the home for the first 12 weeks only after you remain in care for more than 6 weeks and care is deemed as permanent (or up to 52 weeks if temporary), but only if the value of other assets do not exceed £23,250 England and N.Ireland, £23,250 Wales or £24,750 Scotland (2012/13). After 12 weeks the house would be included in your assets. Even during the disregarded period, the Local authority will still expect person in need of care to make a contribution towards their long term care, based on their actual income and other assets. The Local Authority will also apply on your behalf for any state benefits to which you are entitled to maximize your actual income. It is only then that they top up the resultant income to their prevailing tariff rate for care in the area. The amount, the local authority contribution pays during this 12 week period does not need to be repaid, but once the 12 weeks have expired, if your savings including the house exceed the upper capital threshold you would be responsible for meeting the costs yourself. If the amount is less than the upper threshold you can apply for the Deferred Payment Scheme.